How Will Brexit Affect [Borat Voice] My Wife? The United Kingdom is leaving the EU, in an act colloquially known as the “Brexit.” Its effects will extend to all of our lives, in its own way. Something is going to happen with the economy. A number of internet websites have tried to untangle the complex, far-ranging affects of the Brexit. We here at Deadspin were also quite concerned, but nobody is talking about the real issues here. More specifically, how will Brexit affect [Borat voice] my wife? 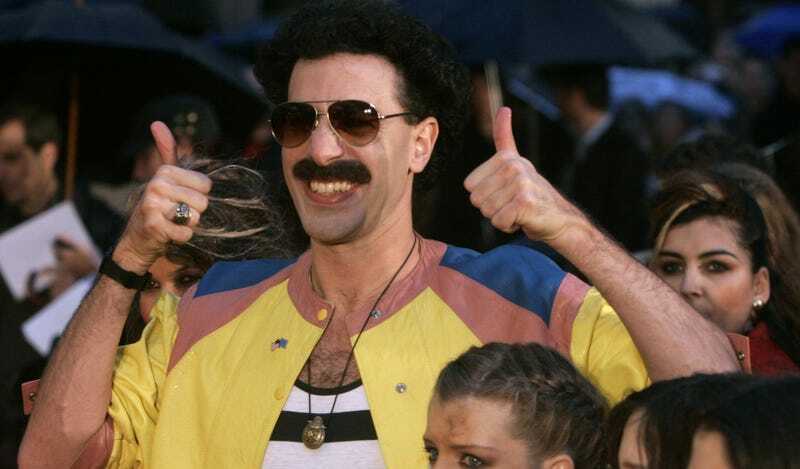 We have looked into the matter and can say, with at least 75 percent certainty, that Brexit will not affect [Borat voice] my wife.